Welcome to Namoi Logistics Wee Waa. 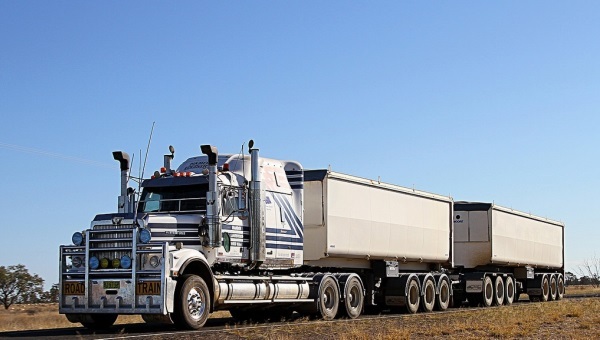 From across the road, to across the country, Namoi Logistics is equipped to do the job. At Namoi Logistics, we understand that deadlines means dollars. That’s why we do everything in our power, and go the extra mile, to ensure no late pickups and your deliveries arrives on time. In fact, we’re responsible for transporting a large percentage of Australia’s cotton bales. We also transport grain, general freight, recycled plastics – raw and finished Flake and anything that needs transporting. Namoi Logistics is always looking for new connections. If your interested in taking on a load, please give us a call and ask for Mitchell Brodigan on 02 6795 1000. Next time you put your plastic drink and milk bottles - and any other items - into your yellow recycling bins, spare a thought for the role they play in a great Narrabri success story. Australian Recycled Plastics is its name, and the company marked a rapid rise to prominence by taking out the Business of the Year - and the Innovation in Business gong for good measure - at the 2016 Narrabri Business Awards at The Crossing Theatre on Saturday night. The company was formed by Dale and Helen Smith, spun out of the need to better utilise the trucks that their ‘other’ company, Namoi Logistics, was using. Those trucks are the major transporter of cotton to port, but they were returning to Narrabri empty. Mr Smith said they hit upon the idea of detouring them to pick up plastic bottles from material recycling facilities all over the east coast, bringing the product back to Narrabri, and turning it into something useful for industry. Copyright © Namoi Logistics Wee Waa 2018. All Rights Reserved.